For a few fleeting weeks in peak summer, the sun doesn’t quite set over St Petersburg. What passes for night is a dusky luminescent glow against which the city’s extraordinary skyline is silhouetted. 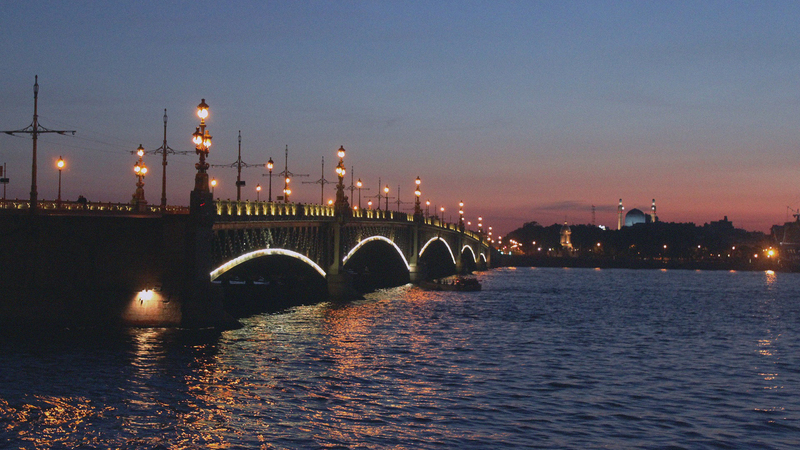 It’s known as Belye Nochi, or White Nights, and is synonymous with endless sun-soaked days, balmy temperatures and a sybaritic spirit. 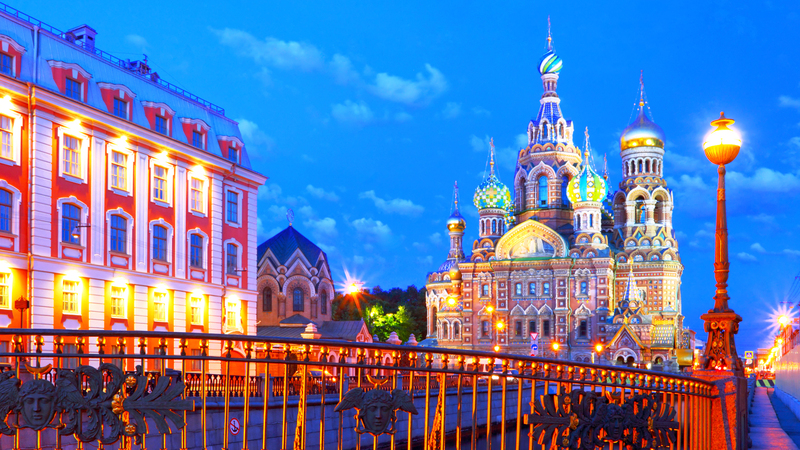 Do as the locals do and enjoy the White Nights in St Petersburg a step away from the main attractions. Here are some lesser-known local ways to celebrate. St Petersburg throws off its wintry layers and makes a determined beeline for fresh air, come summer. Nowhere is this more apparent than on the wedge-shaped New Holland Island, in the heart of the city. The cultural hub puts on an entertaining programme of yoga classes on the lawn, open-air film screenings and summer concerts. Civilised midnight strolls in the genteel environs of Summer Garden are a popular pastime. Don’t leave without a saunter through the nearby Mikhailovsky Garden, infused with the heady fragrance of its lilacs. Ice cream is not just a summer tradition in St Petersburg – Russians are fond of morozhenoe year round, even when the temperatures are icier than the frozen dessert. However, during the White Nights, there are ice-cream carts a-plenty scattered liberally throughout the city. The selection is pretty limited – usually a version of vanilla – but its creamy and cold, and strolling along the Neva with a morozhenoe in hand feels so wonderfully ‘Piter’. The Neva might be flanked by scantily clad sunbathers in summer, but St Petersburg’s main river is no place to swim. A short trip from St Petersburg is the river’s source, the fresh, glittering expanse of Lake Ladoga. Roll out a towel along its forested banks and head in for a wild swim. Kavgolovskoye Lake, an hour from St Petersburg, is similarly blessed with glassy waters ideal for swimming. 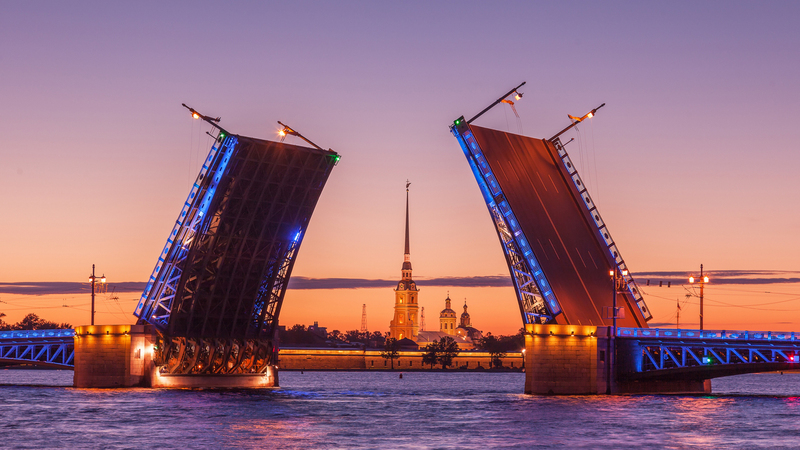 Join the throngs clustering along the banks of the Neva River shortly before 1am to witness the opening of the bridges. Choreographed with spectacular neon lights and rousing orchestral music, it’s something of an initiation into St Petersburg’s White Nights. Just be sure you’re on the right side of the river when the clock strikes 12, as there’s no other way of crossing back over until morning. Avoid the dilemma by watching the effervescent displays from a river cruise. Another way to avert the dilemma of being the wrong side of the river to get home, is to ride the crest of midsummer’s hedonism into the next morning. Start with some live jazz at Nevsky Bar in Corinthia St Petersburg, then follow your ears along Nevsky Prospect to one of its big-name DJ clubs. 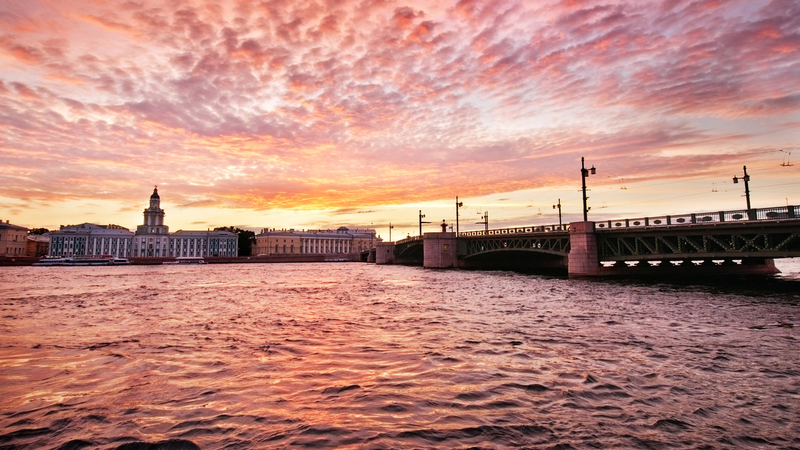 You’ll discover many of St Petersburg’s hip residents had the same idea – locals pay little heed to such trivialities as sleep during the White Nights.